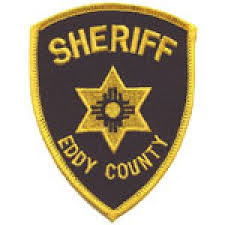 The Eddy County Sheriff’s Office is seeking the public’s assistance in solving a shooting that occurred Friday morning at a local RV park. ECSO deputies were dispatched around 7:30 a.m. Friday to R&P RV Park and Laundry, Space 15, in reference to shots fired. Upon arrival, they found a male individual, later identified as Christopher Madron, suffering from a gunshot wound to the leg. Madron was transported from the scene by EMS and later airlifted. He has since been discharged. ECSO detectives were called to the scene and were able to determine a red SUV had entered the park just prior to the shooting. Surveillance cameras showed the same red vehicle leaving the park at a high rate of speed soon afterward. The driver of that vehicle is believed to be involved in the incident. Anyone with information as to the person(s) responsible for this case of aggravated battery with a deadly weapon is asked to contact Crime Stoppers of Eddy County. Tips can be submitted anonymously and may lead to a reward. Call 575-887-1888, or toll-free at 1-844-786-7227; visit eddycountycrimestoppers.com; or download the mobile app P3 Tips.